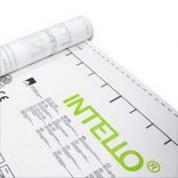 Can be used for most conventional timber ceilings. 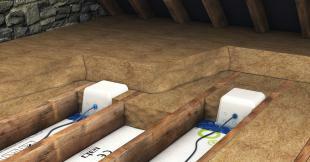 Tested for fire resistance to comply with stringent European Standards. Designed as an innovative one-stop solution for achieving a safe, easy to install a sealing system for downlights. 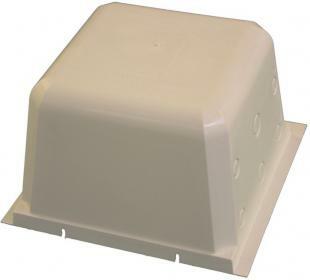 Optime Downlight housing boxes are offered as Mini and Maxi housing. The Optime Maxi will accommodate a transformer; the Mini is suitable only to house the downlight. 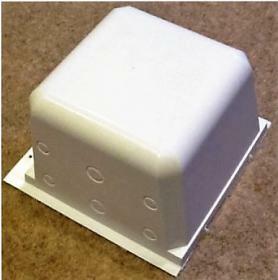 The Optime Mini is designed to suit all types of roofs and ceilings as it is very suitable in narrow places. Optime Downlight boxes significantly reduce the carbon footprint of buildings which incorporate down lights as well as improving comfort and minimising problems associated with condensation. While the Optime Downlight housing is made from a non-flammable material, Optime Downlight is not fire rated and should not be relied upon as a fire barrier, this is determined by the fixing between the downlight and the plasterboard lining. The Mini is specially made for narrow spacings - 200 x 200 x 140 mm. 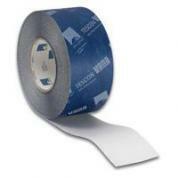 Ensures an effective moisture barrier is maintained. 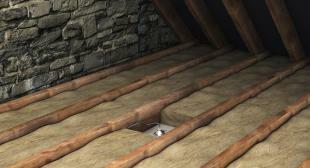 The cover is simple to fit and requires no additional tools. For energy conservation we recommend low energy light fittings, however, the housing is suitable for downlights up to 50W.